We sat down with Emily Russell, PRE screener and Chicago Botanic Garden’s Assistant Curator of Woody Ornamental Plants, to talk about her work with PRE and the 2017 Farm Bill. PlantRight: What would you like the regional horticulture community to know about your PRE work, and why is this important? Emily Russell: After using PRE in beta for an initial group of 50 plants, the Chicago Botanic Garden will make PRE our primary weed risk assessment tool to meet the goals of a rigorous invasive species policy. 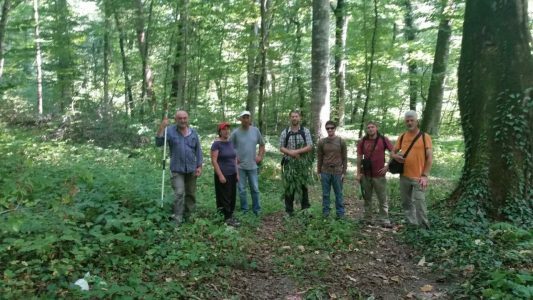 The next project to tackle is screening a backlog of plants from last year’s plant collecting expedition to the Republic of Georgia. The Caucasus Mountains are a refuge of endemic, threatened plant species – a biodiversity hotspot – in a temperate climate similar to Illinois. The focus of this trip was to collect seeds to increase the genetic diversity of ex-situ conservation collections; to bring back and evaluate species for their ornamental potential; and to provide a hedge against natural and man-made disasters, all while building upon institutional collaborations developed during previous expeditions. Screening and evaluating taxa new to the Chicago region is of crucial importance to safeguard our natural areas. 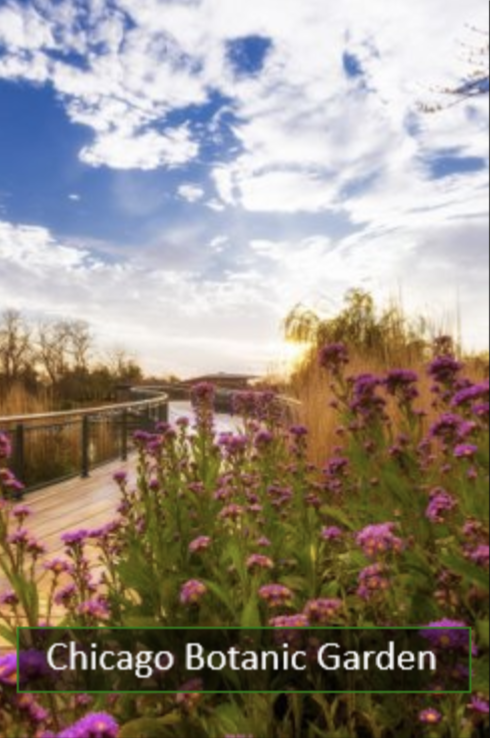 The Chicago Botanic Garden is equally committed to ornamental horticulture and plant conservation, and PRE is the tool to reconcile these occasionally competing interests as efficiently as possible. PlantRight: If you could pick 1 PRE evaluation to illustrate the above, what would it be and why? 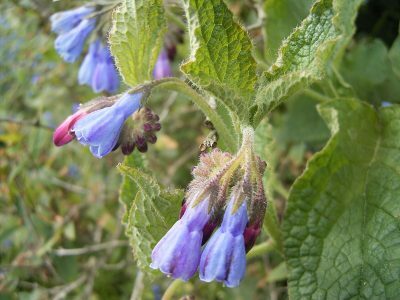 Emily Russell: Symphytum asperum, prickly comfrey. This evaluation was completed due to a pressing need for more information about this plant. The Chicago Botanic Garden collected seeds of Symphytum asperum from the Republic of Georgia in 2001, and plantings were installed in a bed surrounding our Parking Area. It was stunning in bloom in the summertime with bright blue flowers and attractive foliage, thriving as a groundcover in a somewhat difficult site. Thriving, in fact, with a suspicious amount of vigor. “It looks a little too good,” Andrew Bunting, Director of Collections, commented. Within five years, the planting had naturally expanded to twice its size. Ten years later, plants were seeding into adjacent beds and popping up in new areas. 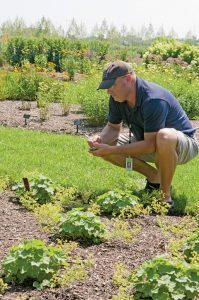 “After it finished flowering it started to vine up and climb over all the shrubs in that bed, we had to knock it back a couple times during the summer, just to keep it in check,” said Michael Jesiolowski, Senior Horticulturist. PRE was the perfect tool to quickly assess how this species behaves in similar climates around the world, and to take a closer look at the biological characteristics that affect its risk of invasiveness. When this plant was collected sixteen years ago, the team encountered no red flags for invasiveness. PRE provided a platform to easily pull together the most current data available from an up-to-date literature review. Symphytum asperum received a score of 14, which falls into the “evaluate further” range. Our observations onsite were all the further evaluation needed for the Horticulturist, Curator of Herbaceous Plants, and Director of Collections to remove this species from the collection. PRE provided the supporting evidence to make an objective, science-backed decision with a reasonable amount of time and effort. PlantRight: Have you and your team found anything particularly meaningful about this project? Emily Russell: The literature review step of PRE often reveals gaps in our knowledge about even some of the most common landscaping plants. For example, how many seeds do Spiraea japonica, Forsythia, or Hosta typically produce? Does Salvia x sylvestris ‘Mainacht’ even produce viable seed? What is the natural dispersal method for Weigela and how far can its seeds travel? How are our most popular crabapple cultivars related to known species? The more invasive a plant is, the more information is typically available, but documentation of specific and measurable impacts on native plant communities would help separate the truly bad apples from the merely naturalized apples. Even after our long and storied history with the plant world, there is always so much more to know.